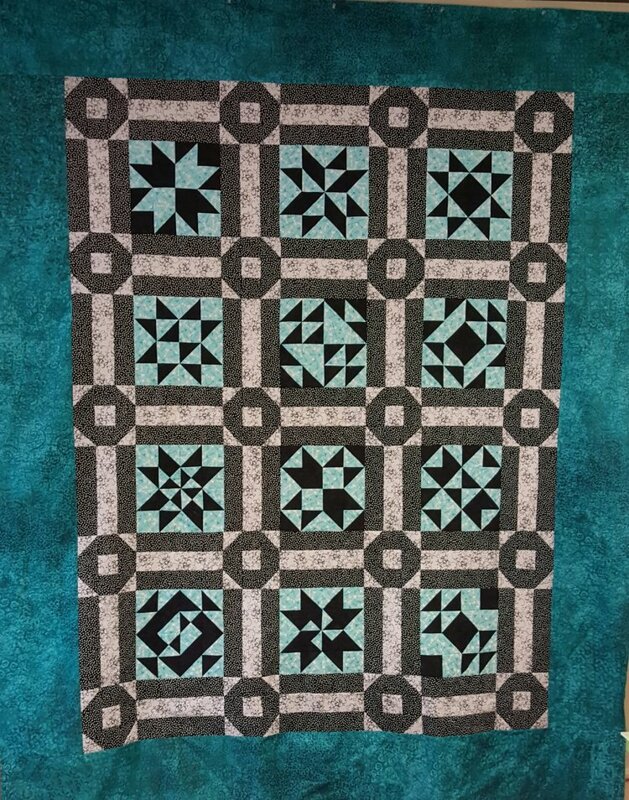 Caribbean Breeze block of the month began this month! If you are purchasing your blocks month by month, be sure and stop by before Saturday so you get your Block for $1! If you have purchased complete block kits and/or setting kits, HANG IN THERE! We are awaiting more fabric to finish those. Mail order kits will be mailed next week. In-house pick up will be finished soon after. 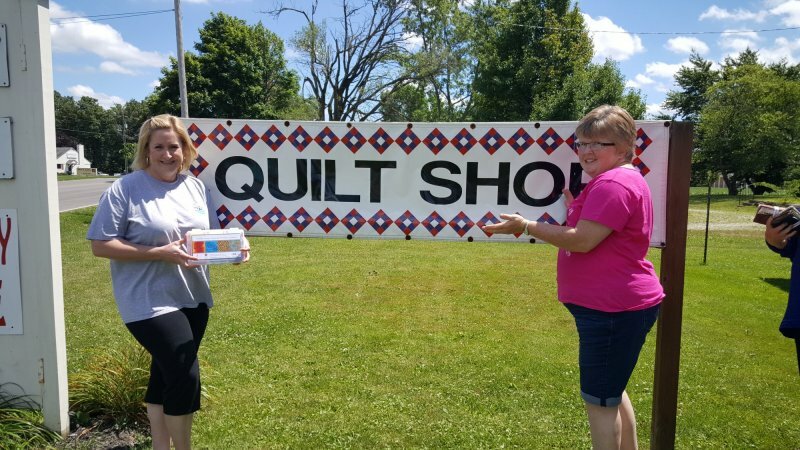 REGISTRATION FOR THIS BLOCK OF THE MONTH CLOSES JULY 31st! 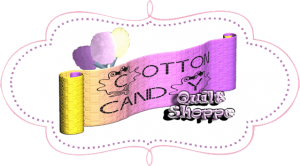 SUPERQuilter for Tuesday night is CANCELLED due to a scheduling conflict. We will still have SUPERQuilter all day on Friday, August 5th. It was time to get some of those "skinny bolts" moved off the showroom floor and into clearance! 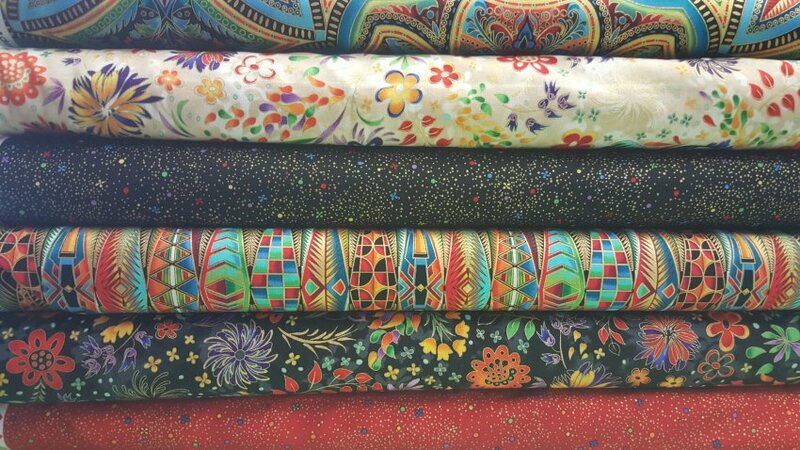 BOLTS AND BOLTS have been marked down to $7.50-$8.50 a yard, with quite a few marked down to $5 a yard! WHAT? First run, high quality fabric at $5 a yard? YEP! These deals WILL go fast! Shop early for the best selection! Does the shop look a little empty this weekend? We'll be there all day demo-ing those new Westalee templates, and all of our great products. Twenty-eight other shops will all be there showing you THEIR great stuff as well! You don't want to miss this. It's the most fun event of the year! of a Case of TWELVE LARGE SPOOLS of Aurifil Thread! And, thanks as well to all those wonderful people who stopped by to wish us HAPPY BIRTHDAY earlier in the day. You guys ROCK. Have I told you that lately? How about some "NON" Housekeeping?